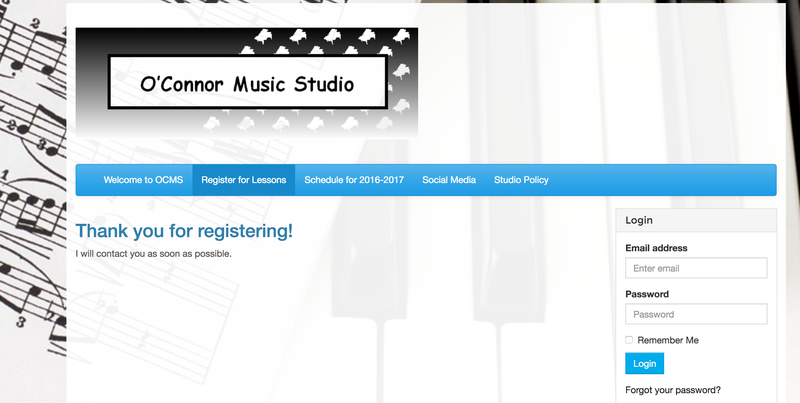 The O’Connor Music Studio features a fully functional Parent/Student Portal. 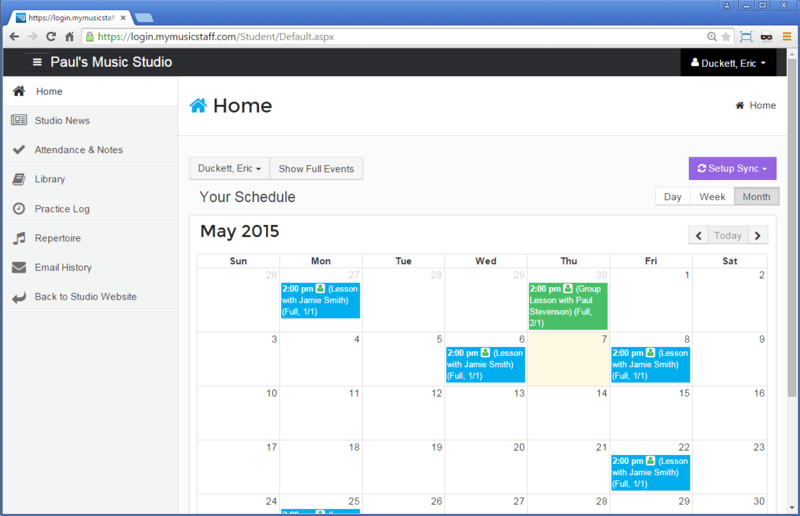 Providing log in access to students and parents is a great way to share information. 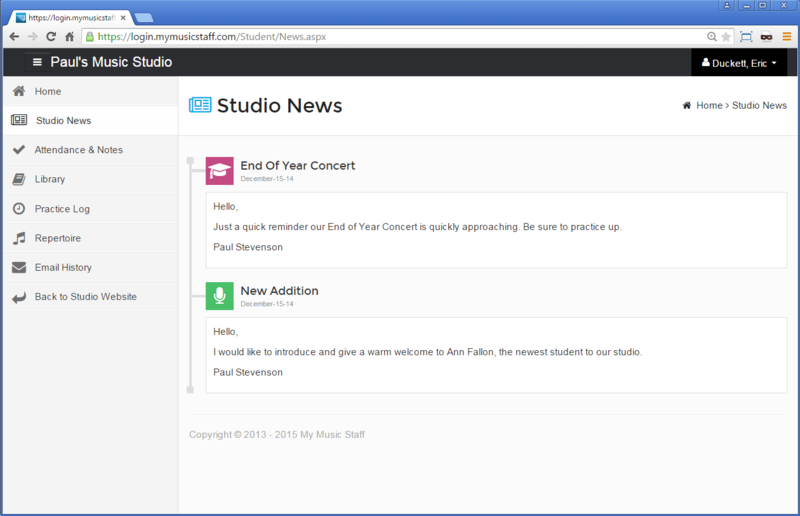 Using the student portal is completely optional, but highly recommended. It’s one of our most popular features. Students can access their own personal information. 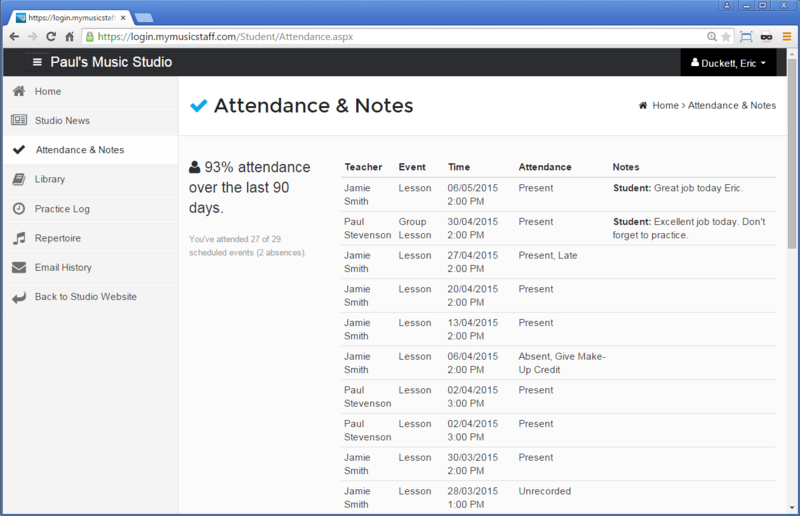 In the Student Portal, they’ll be able to see their lesson schedule, past attendance, practice log, etc. They cannot see private information or other students lessons/details.